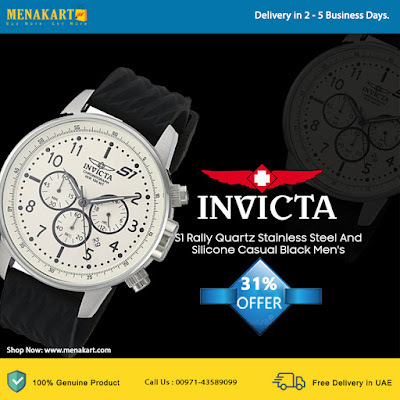 With excellence and style, the S1 Rally collection carries with it the quality that Invicta is known for while creatively moving forward in assembling the perfect look. The smooth design complements the warm ivory dial, underscores the precise chronograph complication, accentuates the comfortable black silicone strap and props up the strength of its spectacular 100 meter water resistance capability. Complete your collection with one today.